As explained in detail in my Simply SEO ebook, your website needs regular fresh content to support and boost your SEO, and this is something ignored by many. Many business owners get their site done, while never adding any more content in it or updating it. Adding fresh text content to your site on a weekly basis might seem like an arduous job. Yet it isn’t if you simply follow the tips below. Surprisingly, for many companies, it is a completely unmanageable thing to add regular blogs. Hence in last decade, I’ve seen many small to medium businesses ignoring this very important digital marketing strategy. Few years back, while in a meeting with both a company’s (my client) director and IT manager, when I suggested they should add blogs to their website, the two smiled looking at each other. When I ask what was up, they replied they had been trying for a long time to have their consultants to write up blogs, but it never happened as they were always so busy. I provided a solution and prepared their content strategy which till date doing great to bring them more traffic and enquiries. This simple strategy is explained below. How to organise hire a writer? Your employees do not have to take time out of their busy schedule to write the content. You can hire a casual (preferred) or full-time writer. Coming back to the case study, I gave them a simple solution; something that you could also implement. 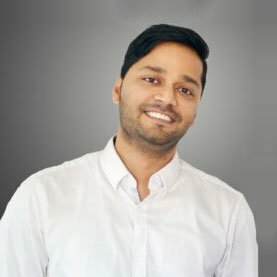 I organised a content writer, a freelancer who would come to office once a week and write 4-5 blogs a day. It costed this client one tenth of hiring a regular writer. I know there are many bloggers and YouTubers who preach that only those with huge expertise should write content and so on. But dive into real life, and you will find that 90% of the business owners and their employees do not have the time or expertise to write blogs. 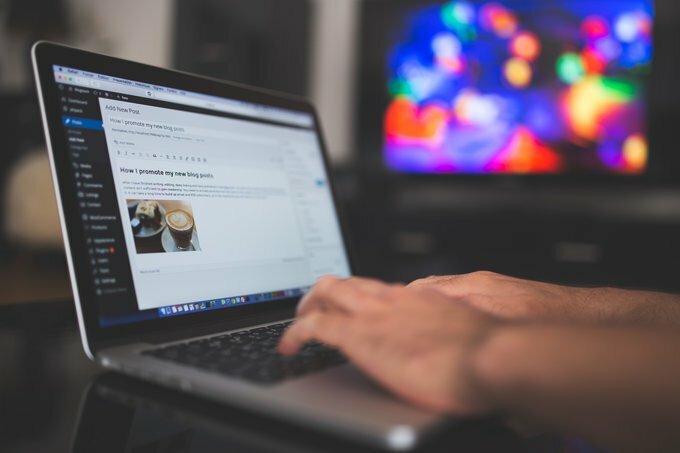 Sure, the business owners would know more about their business then the writer, but they certainly don’t want to spend time writing blogs, when they could be using that time to plan their business and other more important things. Allocation of jobs and creating systems is the number one thing you can do to sustain and grow in business. 1. Advertise in Gumtree or other ad sites and University career boards such as this one for a casual position for content writer. 2. Hire based on their expertise in English written communication skills. They don’t have to be an expert in your field, but should have excellent blog writing skills. 3. You can also get the candidates to write a sample article before selecting them. Hire as casual contract worker once a week or more depending on your requirements. I would pay them on an ABN, it’s much easier. Ask them to send you invoice with their ABN number on it, with their contact and work details on the invoice in question, so you can pay them once a week/fortnight/ or monthly. It’s up to you. Many of my clients who used to spend $500- $1000 a month on content strategy now only get job done in less than $150 a month after following above. 4. Once hired, give him/her good training about your product/service. 5. Your writer doesn’t have to work in-house. Once you have provided them training, either face to face, or on phone, then they can even work from home. Many agree to work on cheaper rates when allowed to work from home. 6. Each blog can be created by researching the topic on internet. Get ideas from others, put your thoughts in it and make a blog. It has to be this way because one writer can’t be expert in many topics. They have to research the topic and then write blog in his/her own words. Don’t copy paste as it will backfire. Content has to be unique to support SEO. 8. Keep an hour or two once a month to research all ideas around your business product, service, industry news, tips etc and add them all under “Article Topic”. If you find any interesting articles, add link under “link for ideas” to help your writer get an idea of the nature of the article. This way, just in one sitting of 1-2 hrs, you can create content Book for whole one month. After this you can sit back and let your writer do the job. 9. Share this Google sheet with your writer (top write button in Google sheets allows an easy share option). 10. Give above mentioned instructions to your writer on how they can research online and write around 500 words on the topics provide in the sheet. 11. As it is a Google sheet, you don’t even have to email it to him/her. Just by once sharing this sheet with your writer, you both can edit and see the changes on the sheet. This keeps you and your employee on the same page. 12. I recommend getting at least one or two blogs a week done. 13. For content marketing and promotion, share it on your social channels. 14. Sharing regular tips, industry news or other blogs consistently will increase your brand value, your social media following and enable you to keep them engaged with your brand. 15. To automate it even further, you can also make the same writer as admin for your Facebook, twitter pages and let them post the blogs on your social media on your behalf. 16. Moreover, you can also give your writer admin/author privilege on WordPress (under user section in dashboard) to let them post those blogs on your site, however review the blog yourself first before it gets posted on your site. You know your business better, so you should always review it. ❖ This helps boost your SEO in the form of regular fresh content. ❖ More blogs mean more pages on your site and Google likes bigger site with larger number of pages (quality pages). ❖ This strategy gives you regular content to share on your social channels. As a result, your social following and website traffic will improve. ❖ Eventually if you keep doing this, your brand value will go up. If you like what you read, you can grab a copy of my SEO ebook here.